Leicester City have signed defensive midfielder Wilfred Ndidi for a reported £15m from Belgian side Genk. The 20-year-old Nigeria international completed his move on Thursday after a work permit was approved, signing a five-and-a-half-year deal. Ndidi has already trained with the squad and could make his debut in Saturday's FA Cup third-round tie at Everton (15:00 GMT). "He's an impressive player with a big future," said manager Claudio Ranieri. "I feel I can learn a lot here," Ndidi told the club's TV channel. "I try to win the balls for the team - that is one of my main attributes. I have to achieve a lot here." 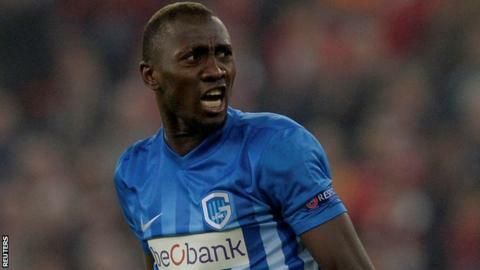 Ndidi helped Genk finish top of their Europa League group to secure their place in the knockout stages of this season's competition. Find all the latest football transfers on our dedicated pageor visit our Premier League trackerhere.